I don't consider myself a stubborn person, but when someone says "You can't do that" to something I think is perfectly reasonable, that only motivates me EVEN MORE to do it if only to prove them wrong. One of those was travelling with my kids when they were young. 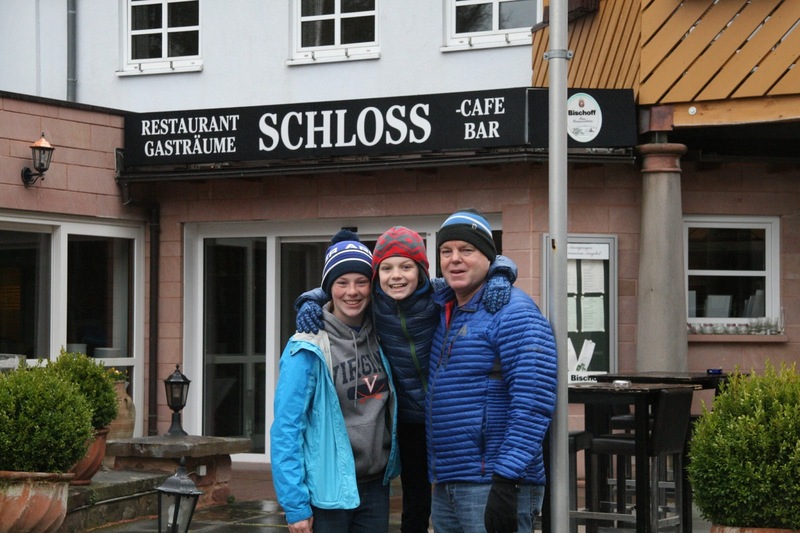 The very nature of our chosen professions and our family scattered across the country necessitated travel, and then when we got stationed in Germany, it was an imperative. 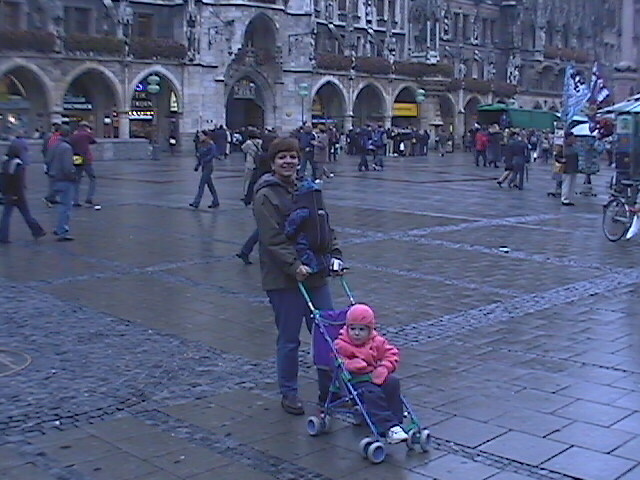 I wasn't going to miss out on seeing the awesome sites of Europe because I had a toddler, nor was I going to miss important family events back home. Obviously, it's harder to take a young child on a high adventure kind of trip, but it's still possible. I was so impressed with the family in this article in the Wall Street Journal. "The family used Mr. Perez de Fransius's six month paternity leave to travel, including a one-month road trip from Mozambique to Namibia, with stops in Botswana and South Africa along the way." Impressive, isn't it? They estimated and traveled with 200 diapers. "She had overestimated, but preferred to have extra than run out." Absolutely! Even if you "go local" your kids will survive. I forgot my son's formula on a trip to Paris, so bought the French version. Randomly switching food with a less than a year old baby breaks a major mothering rule I'm sure, yet he survived completely intact. As you plan your first adventure, you don't have to reinvent the wheel, there are tons of great resources out there. 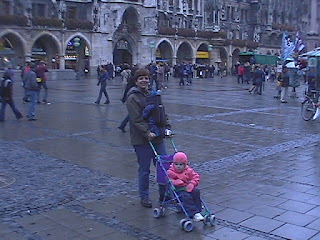 My friend Vero wrote this great article on taking kids to an urban destination. "Don't plan vacations like no one will ever travel again. The important thing is to spend time together and get a feel for the city, not scratch landmarks off the list." My daughter had an EPIC meltdown just as we were about to start our Neuschwanstein Castle tour. We didn't get to go on the tour but we still laugh about it and tease her a little. If you need help figuring out our next adventure, Vero can help you out - her travel design company Pax Travel Design plans unique vacations for busy families. My friend Paige and her family took a one year tour of the world and is also an excellent resource. She and Vero have a travel blog called All Over the Map. 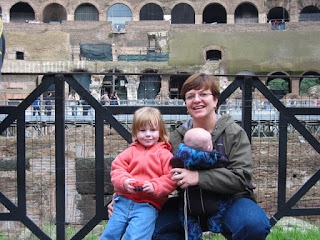 Paige's article on Mindful Family Travel is great - she know's what she's talking about. I love her third tip best, "Emergency snacks, always." Kids are hungry when they are hungry, not when the flight attendant delivers their "meal." Paige just started a new tour company, Unquote Travel, which offers authentic, local travel experiences to destinations around the world. You will make huge bonus points with others on your train or plane or at the restaurant if you follow some of these rules from Scary Mommy. We once dashed out of a wonderful, picturesque and highly anticipated restaurant in Copenhagen because of a brewing meltdown. While kind of a bummer, we eventually got the kids settled down and asleep in the hotel room and snuck down to the hotel lobby for a well deserved adult beverage. So with my now high school kids, why am I telling you all this? 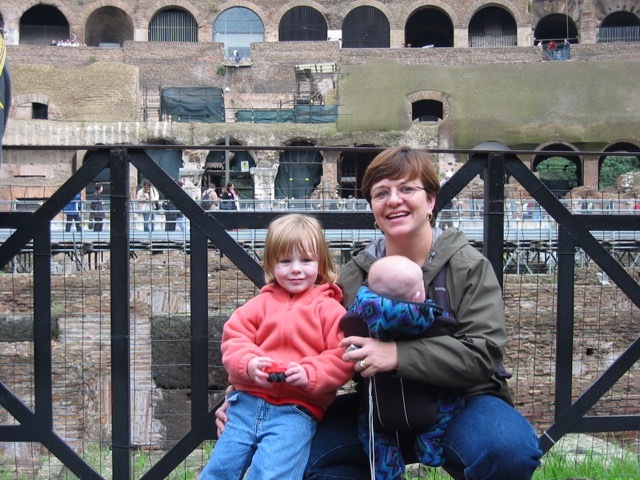 Because even if my kids don't remember their early travels, it was really great training on how to be good travelers now that they are older. They pack their own bags and generally are self entertaining when we travel. I am earning back peace and relaxation after many years of hauling strollers and car seats. 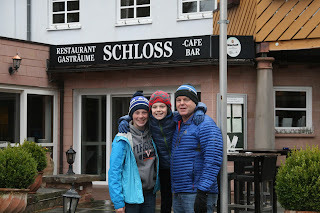 We've been on a lot of crazy adventures as they have gotten older - dog sledding, scuba diving, hot air ballooning - all possible because of their sense of adventure. And tons of fun for their parents!